We are excited to be unveiling the initial details of the FreePBX Market Place that has been communicated on some previous posts. The Market Place concept is simply another extension to FreePBX, the Distro and the overall professional community that we set out to further enhance to the benefit of the community by complimenting the core technology projects with other important offerings that are of interest and have been requested by many folks over time. 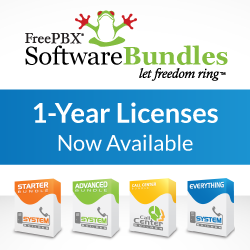 FreePBX has already been offering Support and Professional services for years which has been well received by hundreds of resellers, integrators and end users giving them the confidence and added help or services needed when requirements have gone beyond their internal capabilities or organizational capacity. The Market Place will both house those services and begin to expand upon them and also unveil a spectrum of new offerings that have either been absent or a well kept secret in the past. A place to purchase specialized modules that have begun to show up in the commercial repository, or in some cases are not there but available will be handled through the portal, examples include FOP2, iSymphony as well as several of the modules that Schmooze has talked about in the various forums. We are hoping other developers who have great value to add will join in over time as well. We will also be providing access to some limited but very high value hardware from vendors with whom we have a deep relationship with and who have proven to be 100% behind FreePBX and the underlying Asterisk core technology. Over time, our offerings in both of these areas will be augmented and we will listen to your feedback and suggestions to shape this service as best meets the needs of the professional community that is benefiting from it. The target market for these services is very much the large reseller/integrator community of which many of you are part of and as such, we have tried hard to design a market place portal with your requirements in mind. As such, the portal will include the abilities to segregate and manage your needs based on unique deployments thus allowing licensing requirements, support requirements and other related things to be segregated and managed within a single master account. As such, we are working on the final touches of a video that will help walk though the portal features and usage to help you better understand what is there and how to navigate through it to make the best use of our services. For purchases such as support and professional services, or software licensing needs you will need to create a deployment which will include the various necessary information that helps uniquely identify it and benefits both you and use when dealing with that installation since many of you have many such customer deployments and this allows them to be managed individually but all within your master account. (If you only have one, well you will be done after the first time!) The video will walk through and clarify many of the details of how these deployments work and what is required. For now, we hope this keeps the excitement up of all the new things we are working towards around the new FreePBX Distro and associated activities. We are not stopping here as work is coming along nicely on the FreePBX Certified Reseller and Certification Program that has been received with a lot of excitement both here in the community as well as in our “captive focus group” that we had available in our last OTTS with whom we discussed and probed to get more interactive feedback on the ideas and concepts that we have been developing around this space. We’ll have more on this subject coming soon as well and as fast as we can keep the momentum moving forward on all these exciting fronts! Lastly if you have some ideas on commercial modules or add on services you would like to see added to FreePBX please let us know and we can look at building and providing such a add on if there is enough interest in it. I am thinking of partnerships with a Commercial CNAM lookup or voicemail transcription services with a commercial provider tightly integrated into FreePBX. Let me know your thoughts. We will have the signup page for the Portal out shortly once we go live on the last few changes we are making today. UPDATE- You can sign up for an account and get started at http://freepbxdistro.org/signup.php We will get this into a proper tab in FreePBX real soon.